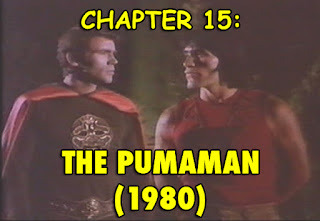 Professor Tony Farms (Walter George Alton) makes the discovery of a lifetime when he learns his is really the Pumaman – a superhero descended from the Gods. He is needed when the evil Dr. Kobras (Donald Pleasence) plans to use a sacred Aztec mask to control the minds of the worlds leaders. Will he succeed or can the Pumaman stop him??? Having not seen this movie up to this point I knew very little when I sat down to watch it. What I did know didn’t make it sound so promising. 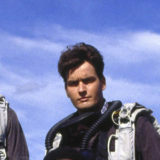 It was featured on an episode of Mystery Science Theater 3000. That’s not a good omen. Our hero’s costume consists of some of the funky Aztec logo on a sweater, khaki pants and topping it off with a pair of loafers. Tying a cape around his neck does not help him look any more superheroic. The Pumaman is listed in the bottom one hundred worst movies of all time on IMDB.com. Oh boy. And Donald Pleasence had stated this is the worst film he had ever appeared in during his long and extensive career. Superhero Films – Chap. 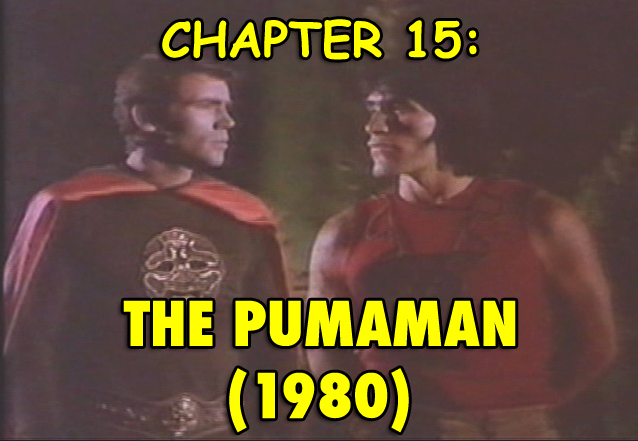 15: The Pumaman from HaphazardStuff on Vimeo.